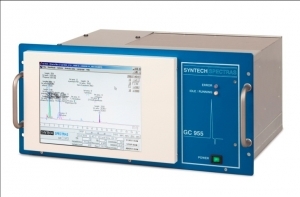 The GC955 series is the top line: these are flexible analysers for low ppb to ppt range analysis of up to 40 compounds in one analyser. The system can be supplied with four different detectors with a choice of two of them within one GC. For standardised applications where only one or two compounds are to be determined, Synspec has designed the Alpha. 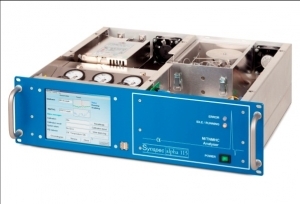 It is a small, lightweight analyser, making transport and installation an easy job. Power consumption is low, the software has simple “surfaces” that make it easy for people who have no training in GC technology to run it without more than one day training. The Delta series is for applications in industry in ppm to % concentrations. The software of the Delta is very extensive to suit the need of the industrial user for data communication with control systems. The Delta is frequently supplied together with a stream selector. 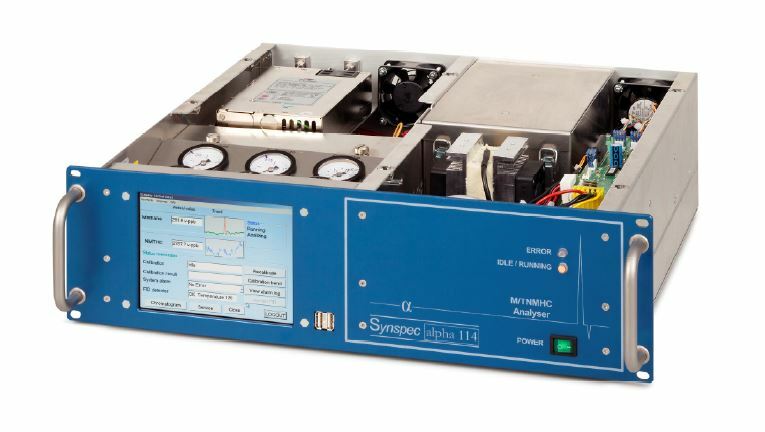 The Synspec Alpha 401 benzene (C6H6) analyser is designed to measure benzene in ambient air. The concentration of benzene in air typically varies from between 1 to 50 ug/m3. The system is delivered to the customer function tested, calibrated and with a 2 year warranty. You’re prompt. I’ve always liked the Ecotech equipment, the guys give me good information and I trust them.